serving Dallas, Fort Worth, North & East Texas and all surrounding areas. Let us show you how you can live well naturally and safely bathe again independently! Our tubs and showers are customized to fit your existing space with quality installation. See our most recent Installations! 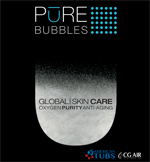 We offer "Pure Micro Bubble". Call for more information. Want to hear more about HEALING TUBS MANAGEMENT'S services?